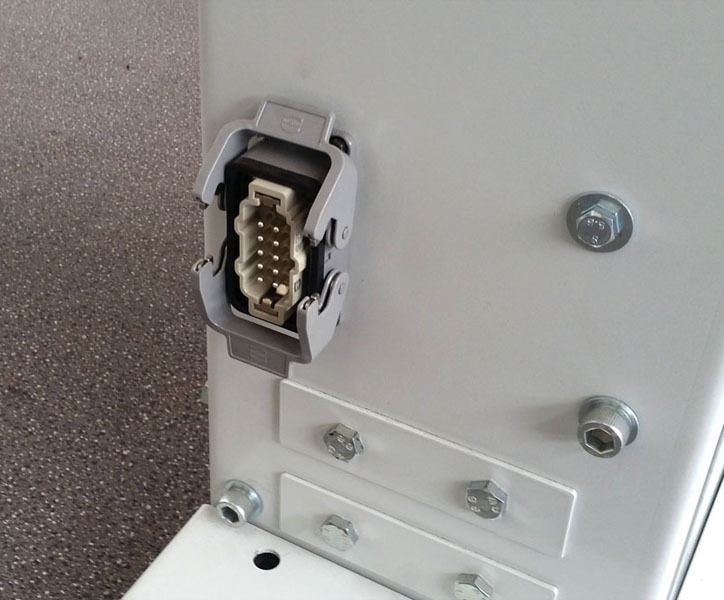 To transport and handle the sliver in the best way you need to store it properly without the fibers being damaged and without the sliver regularity is compromised. 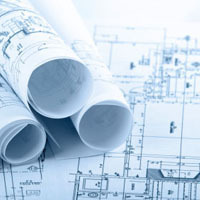 To do this process the textile industy uses a machinery called can coiler. 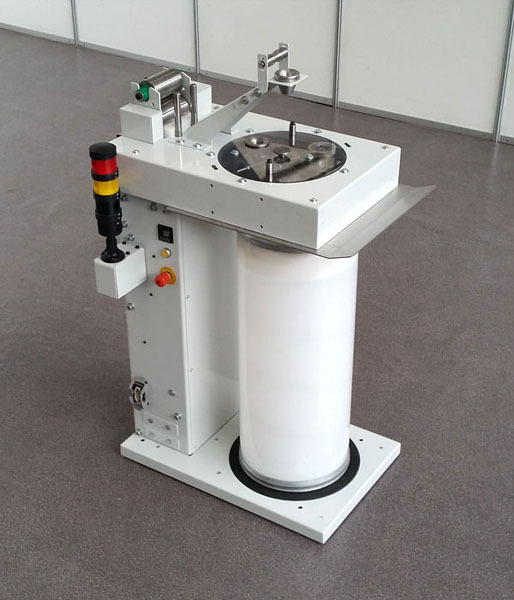 This machine carries the sliver and deposits it inside of cylindrical cans in a regular way. 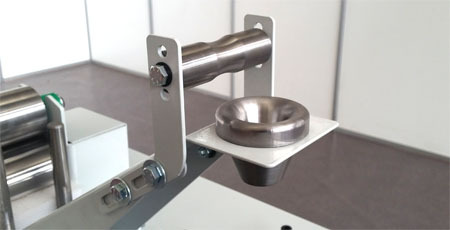 In order to preserve the quality of the sliver this operation must be done at the end of each step and then after the carder, after the pin drafter and after the comber. 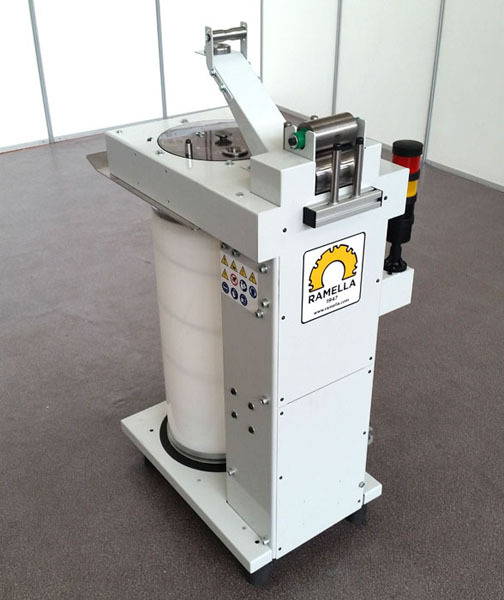 In the industrial field are offered many can coiler with various functions including automatic change of cans or high speed systems. 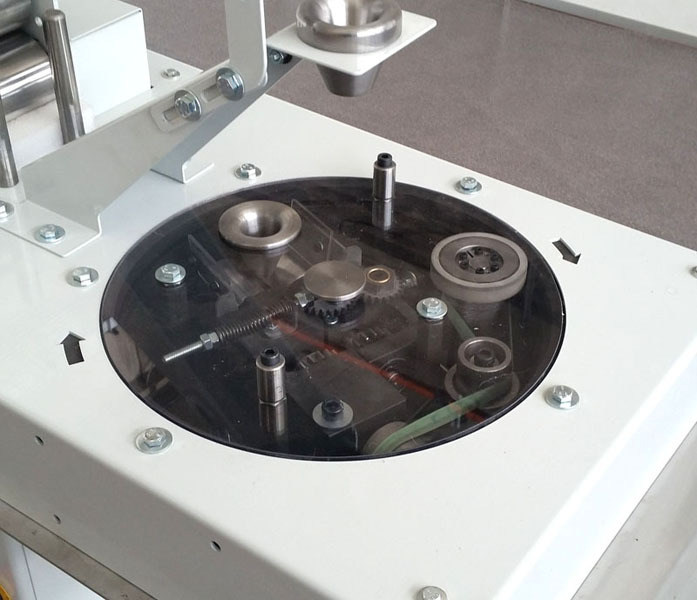 To meet the needs of minimills and laboratories we have created a compact, simple and efficient can coiler so as to combine the quality of an industrial system to economy. The can coiler Ramella is characterized by a very thin rotary head so that you can work well with low cohesion fibers. 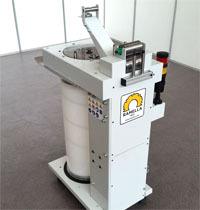 It has a simple and solid structure that can be easily positioned after a carder or a pin drafter. 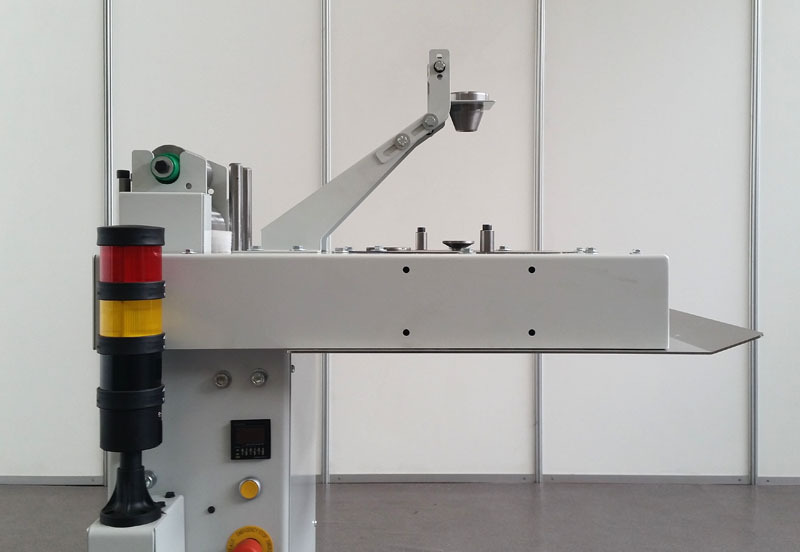 The presence of an electronic speed controller and an interchangeable gearbox allows you to match this machine with existing equipment. 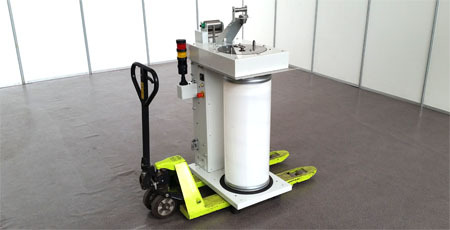 The manual change of the can allows to have an easy to use machine with a very small size. 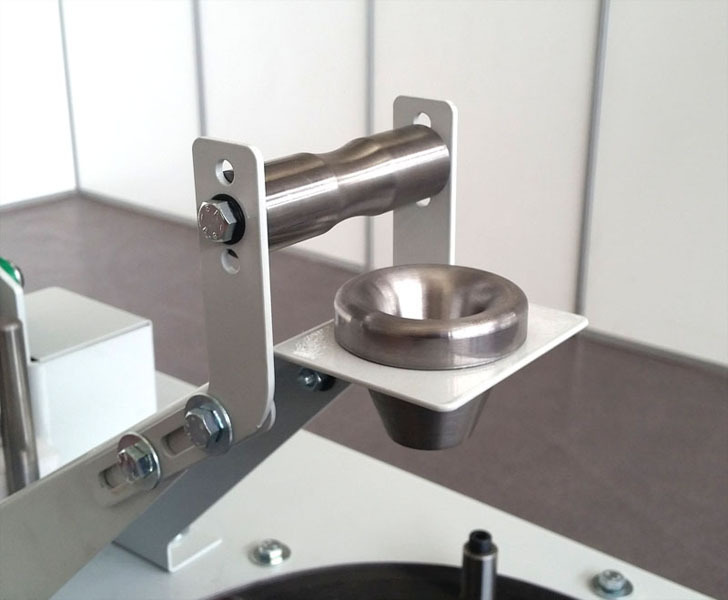 The can coiler Ramella is mainly characterized by a rotating head with a reduced thickness to minimize the risk that the sliver stops and obstructs the exit channel. 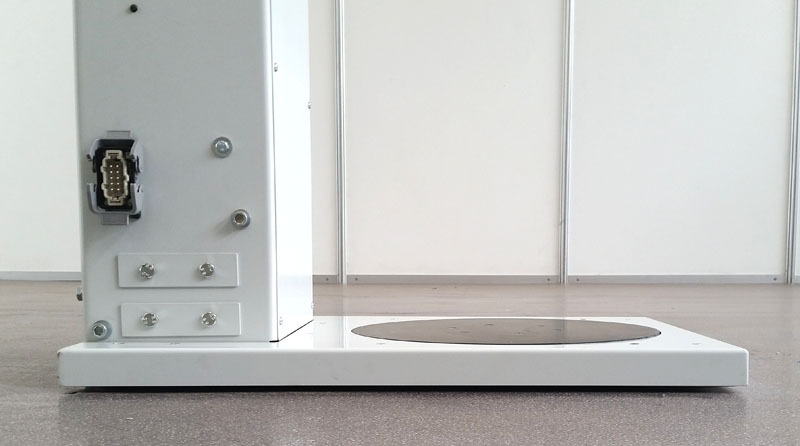 In the traditional can coilers (the ones with a pair of rollers placed centrally on top) the distance between the traction and the exit point is very high, usually more than 25 cm - 10". 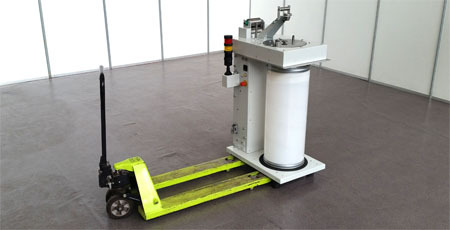 In the configuration with mobile rollers the traction point and the exit in the cans is much lower. In the can coiler Ramella this distance is about 5 cm - 2". 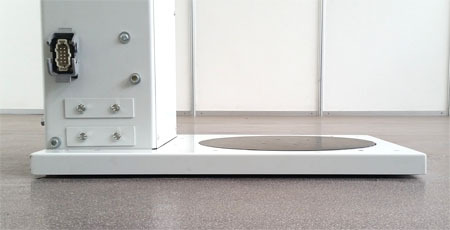 This feature is very useful for the fluffy or low cohesion fibers as the alpaca that tend to obstruct the exit channel. 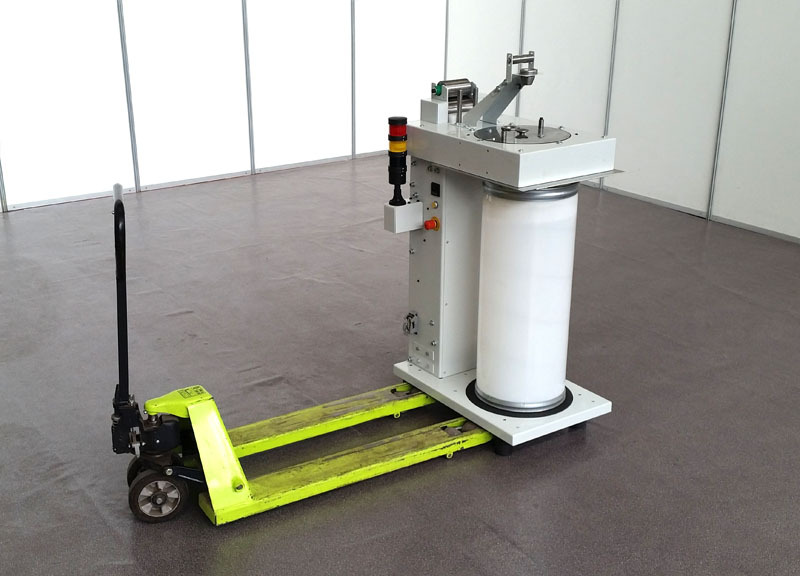 For maximum flexibility, the coiler Ramella is equipped with a variable speed motor that is electronically controlled. 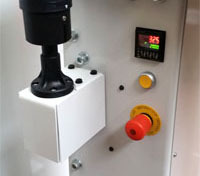 Using the inverter you can adjust the speed of the whole system so that it is perfectly synchronized with the machinery to which is coupled. 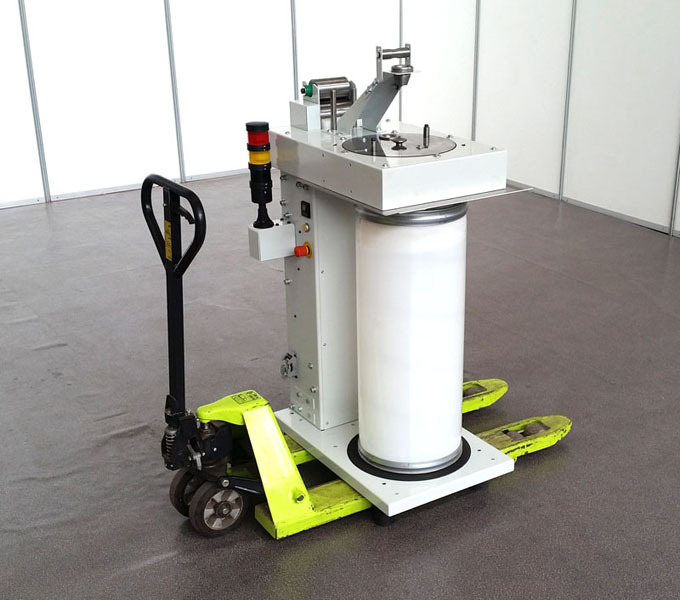 The electric motor of the coiler is equipped with an interchangeable gearbox and this allows to match the coiler with existing machines. 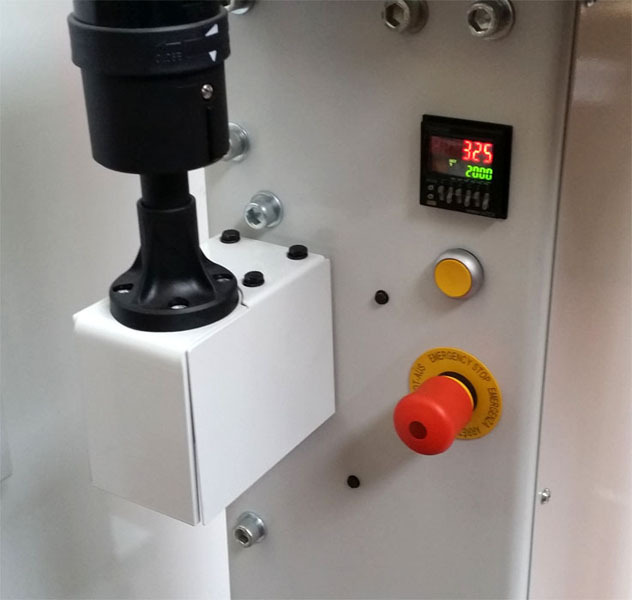 The coiler is equipped with a built-in meter counter that allows you to control the amount of sliver stored into the cans and an alarm that alerts you when you need to replace the container. 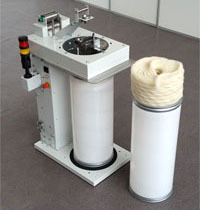 Since often in minimills are used low cohesion fibers like alpaca, the coiler Ramella is provided with a pair of additional pulling cylinders. 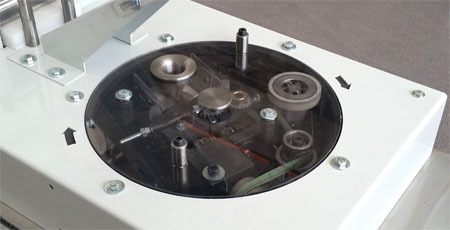 This system allows to reduce friction and facilitates the transfer of the fibers up to the rotating head. 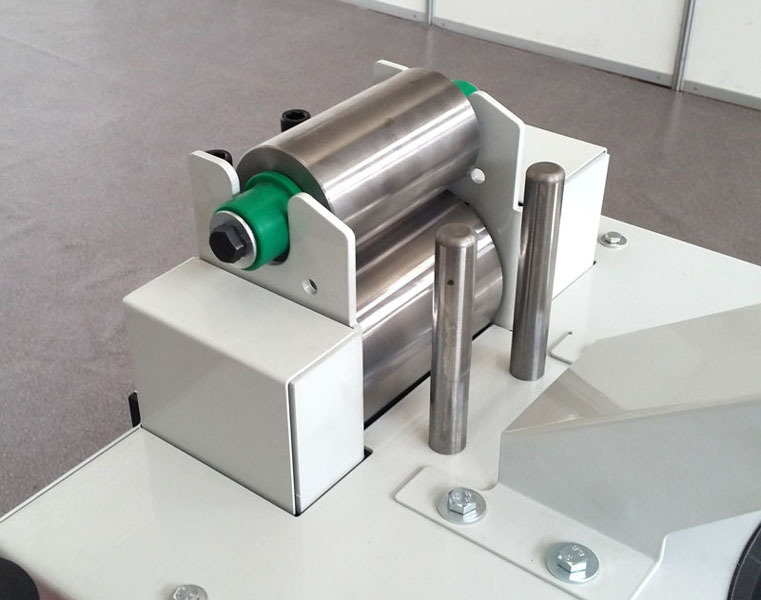 A variable pulley system allows you to vary the draft of these rollers so that they can adapt to any type of sliver. 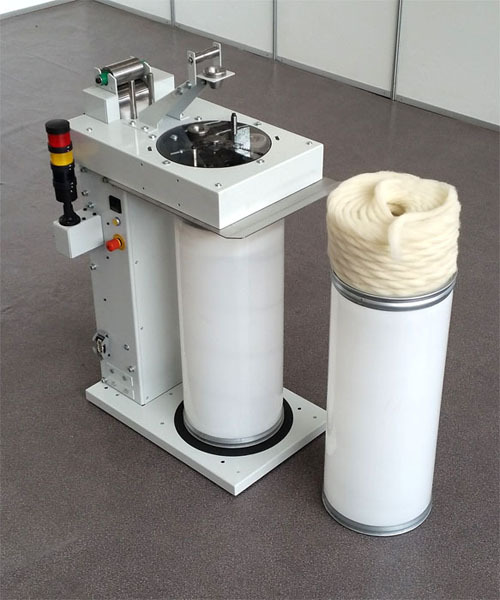 To facilitate the use of fibers with low cohesion the coiler is also equipped with funnels of different diameters. 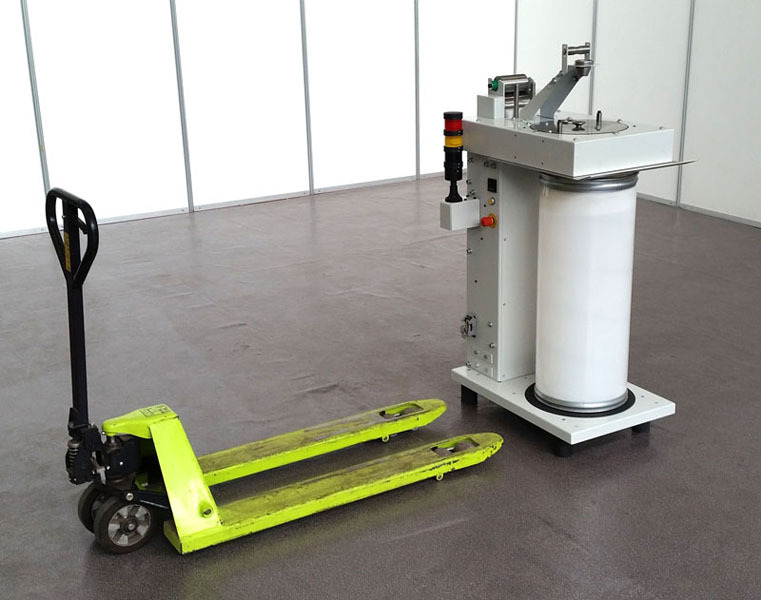 The coiler is equipped with support feet spaced so as to allow the passage of the forks of a standard pallet truck. 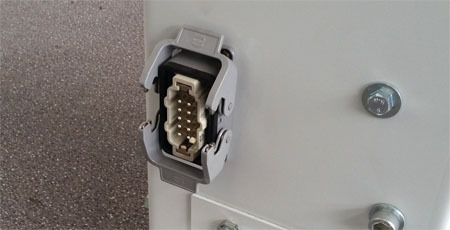 The electrical connection is via a quick-release connector. 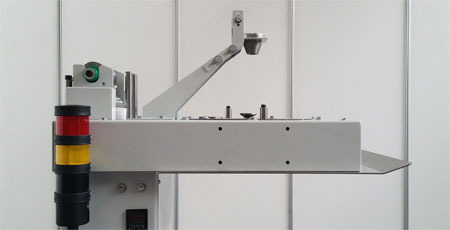 The combination of these two systems allows a rapid movement of machinery. 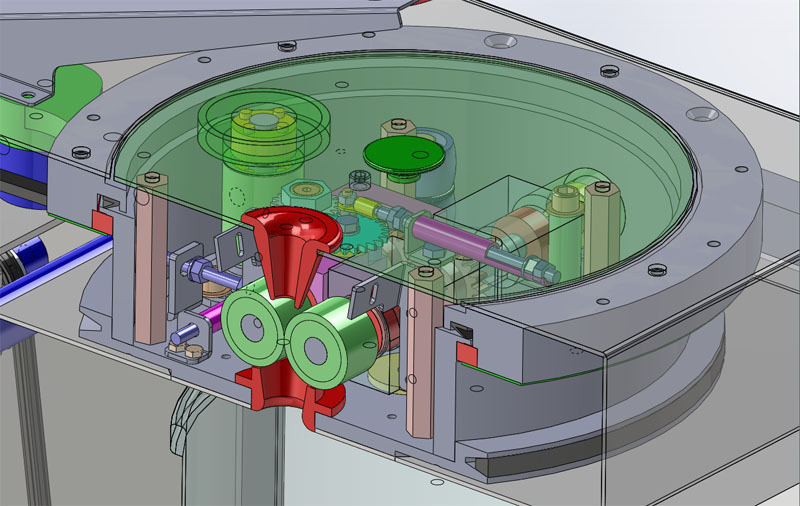 The rotary head is equipped with a transparent polycarbonate cover that allows you to control the correct operation of the system at any time. 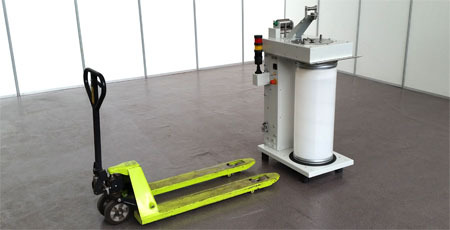 The traction rollers are mounted on a tilting structure that allows a quick release in case of maintenance. 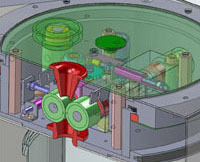 It is also possible to vary the pressure rollers acting simply on the compression spring.